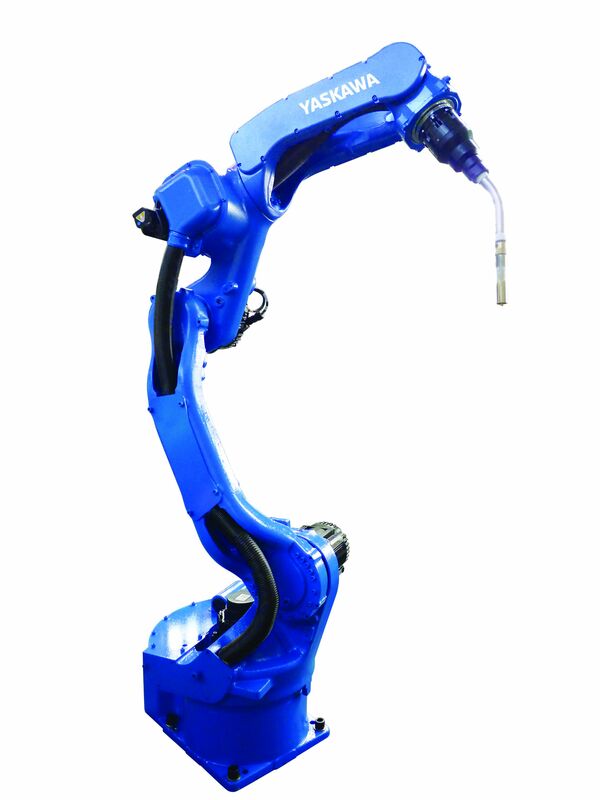 MA1440 welding robot of 6 kg payload, fast and thin, compatible with motorized torches and sensors. 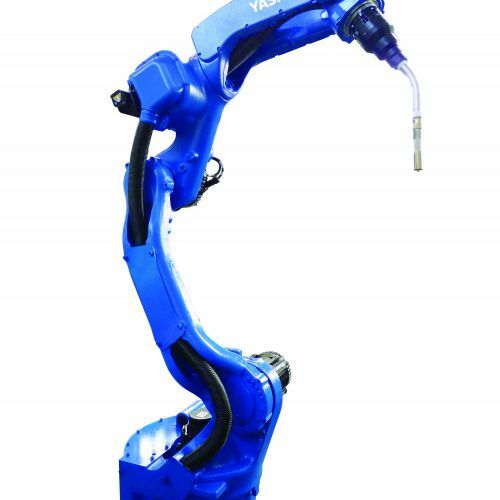 Its contoured arm design optimizes access to the torch; suitable for use in high density work cells with several robots operating in confined spaces, where productivity increases and a high welding performance is obtained. Equipped with the DX200 controller.